Dan Burstein and Arne de Keijzer are the world's leading authorities on the novels of Dan Brown. Their first fact-checking analysis, Secrets of the Code, was in its own right a mega-bestseller, topping the charts for more than six months solid. Much like the author they analyze, Burstein and Keijzer have found a formula that works, and they aren't afraid to use it. 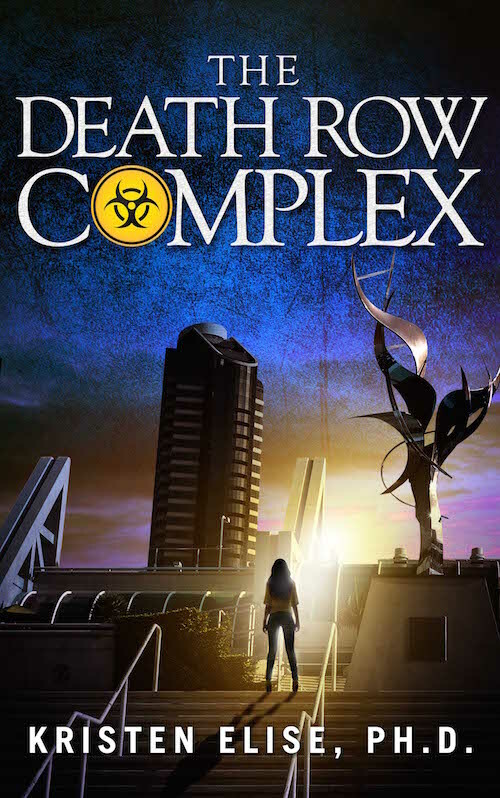 Each time Dan Brown graces the world with a new novel, Burstein and Keijzer recruit the leading experts on the subject matter explored in that book. The experts offer short, easily-digestable commentaries, interviews, and essays. Burstein and Keijzer also include their own two cents based on meticulous research of the subjects at hand. In 2003, it was the Priory of Sion and the workings of a cryptex. This time, it's population control, transhumanism, and most of all...Dante. "As Langdon stared into his own weary eyes, he half wondered if he might at any moment wake up in his reading chair at home clutching an empty martini glass and a copy of Dead Souls, only to remind himself that Bombay Sapphire and Gogol should never be mixed." Langdon's amnesia at the beginning of Dan Brown's Inferno parallel's Dante's Inferno in that neither protagonist has a clue how he got where he is at the beginning of his descent into Hell. Dead Souls, by Nikolai Gogol, was almost a Russian version of Dante's Inferno, originally intended as a three-volume work that would parallel Commedia. Dante's Purgatorio opens with a reference to the "sweet hue of Oriental sapphire," signaling the start of a new day and the beginning of Dante's climb out of the Inferno. 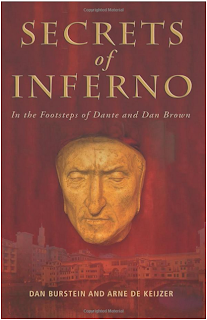 Today's Bombay (Mumbai) is the location of one of the original surviving manuscripts of Dante's Divine Comedy. With this kind of analysis at one's fingertips, it is tempting to go back to awkward sentences throughout Dan Brown's Inferno and look for secret parallels to Dante's Inferno. Which is exactly what Brown wanted, and exactly what Burstein and Keijzer have done. Because Secrets of Inferno pulls so many experts into the equation and gives each of them free reign with their commentaries, there are a lot of redundancies. I think I read about thirty times the same observation that it was Dante who originally coined the word "transhumanism" (or a variant thereof) and that Dan Brown (for whatever reason) failed to make this observation in the novel. On the one hand, the redundancies are a bit annoying, but on the other hand, they lend credibility to the statements. 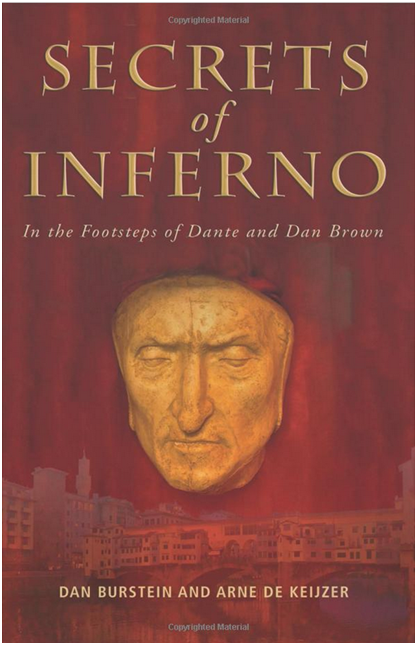 Like so many Dan Brown admirers and simultaneous bashers (myself included...read my own review of Inferno here) Burstein and Keijzer do not mince words, and they are never afraid to point out the awesome badness in both Dan Brown's writing and his plots. Some of their comments made me giggle, others made me cringe, and still others made me feel a bit sorry for Dan Brown - until I remembered that he sells more novels than just about every other author in the world combined. 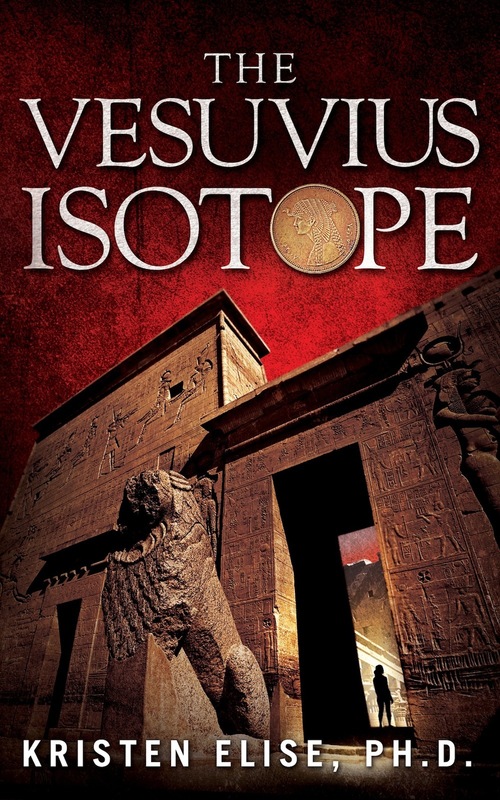 I would love to see what these guys would do with The Vesuvius Isotope. ****See the symbolism behind Brown's use of the caduceus here, and the caduceus versus Rod of Asclepius here. Very cool, you could be the next Dan Brown except that your writing will be better! Thanks Rob! Wouldn't that be nice?